To See and Experience NZ at its Renowned and Spectacular Best there is only one Way to Go! The Christchurch and Canterbury region boasts stunning scenery, vast and remote areas to explore - often only accessible by helicopter - and some of the most amazing wildlife. Way To Go can customise a helicopter tour experience to suit your interests and budget. Way To Go Heliservices Ltd is able to perform a broad range of commercial services with an experienced team of pilots. 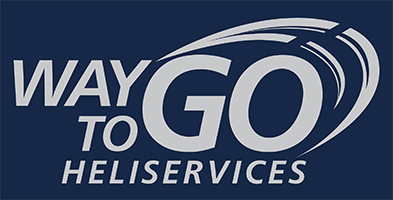 Way To Go Heliservices offer a range of commercial, agricultural & aerial transportation (including hunting & fishing) services by Helicopter throughout the South Island area. Take a stunning scenic helicopter tour of Christchurch, the Canterbury region and/or the South Island. To see and experience New Zealand at its very best... there is only ONE WAY TO GO! Our scenic helicopter tours of Christchurch and the Canterbury plains, take in breathtaking scenery and see secluded beaches, pristine lakes and rivers, snow-clad mountains and untouched native forests. New Zealand is internationally renowned and respected as the perfect place to get away from it all and Way To Go will take you there in comfort and style. Your specific interests and requirements can most certainly be catered for – whether it be a golfing tour by helicopter, a secluded and romantic lunch, a helicopter tour of South Island wineries or any other special occasion. We are right on the back doorstep of some of New Zealand's best hunting and fishing. We operate five helicopters from the Rangiora Airfield so are able to cater to every need, taste and budget. Additionally, if you prefer something a little more adventurous, try an Introductory Flight with one of our Instructors. This will challenge and thrill even the most adventurous! The Way To Go helicopter team offer helicopter charter flights from our Rangiora base - taking you right to some of the world's most superb trout and salmon fishing locations. Trout fishing and salmon fishing enthusiasts will find Helicopter Fishing a 'must do' experience when visiting the Canterbury and the South Island, New Zealand - and the Way To Go team are your perfect choice. For helicopter tours in and around Canterbury, Way To Go is the Way To Go! 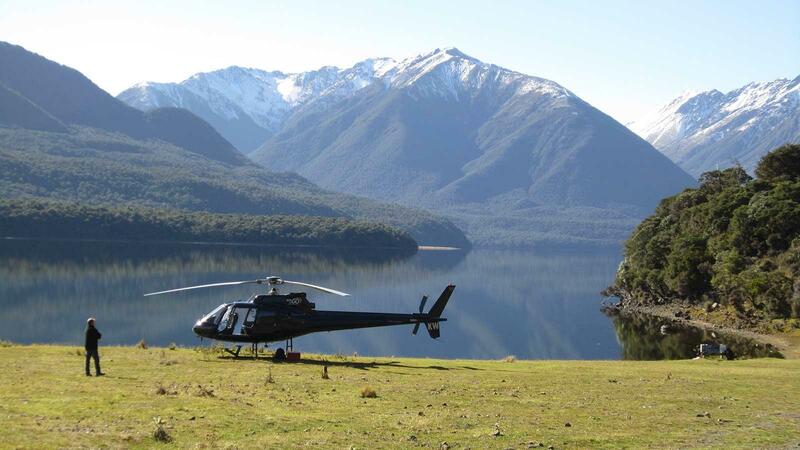 We invite you to join us on a helicopter flight, to see the spectacular South Island of New Zealand. Way To Go Heliservices Limited is a privately owned company and is committed to becoming one of New Zealand’s finest helicopter charter companies. All of our helicopter pilots are very experienced, and have a sound working knowledge of the Canterbury/Nelson/Marlborough/West Coast regions. Our ever expanding fleet of helicopters are all fitted with GPS and TracPlus Systems for the upmost assurance for our clients. In the realm of commercial helicopter work, Way To Go has successfully completed contracts for D.O.C., ECAN, Mainpower, Rayonier, Boffa Miskell, L.I.N.Z., Biodiesel, and many private clients. Our experienced and qualified instructors are able to assist and coach students of all ages and abilities in a range of helicopter types and skills in a supportive and friendly environment.